The leadership handbook for leaders who want to make a difference through their work and business. Packed with stories, tips and inspirational quotes, buy this book to ensure personal success and business growth – in the right way. If I’d had this book during my time at M&S… my leadership would have looked very different. Read this book. Refreshed and invigorated, you will look at your business in a whole new light. One of the most powerful and influential business books I have read. Quite simply the best business book I have read this year… I would strongly recommend to both existing and aspiring business leaders. I think it is the most enjoyable read I can remember… Enlightened Business is a bang on book. 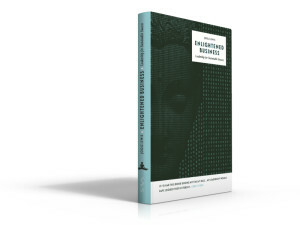 Enlightened Business is a bold and refreshing book.